When you hear the word ‘pumpkin,’ do you think of those giant orange pumpkins from the pumpkin patch that you carve or decorate with paint for Halloween? You’re not alone. That’s what comes to mind for most people, but there are quite a few varieties of pumpkins out there that are better suited for eating than the ones we typically fashion into Halloween decor. It is not that the big ones are not edible. They are, but they tend to be a bit on the bland side, plus the flesh is stringy. Baking the seeds after carving it makes for a great snack though. If you really want to cook and bake with pumpkin, you need to seek out the ones that are sweeter and more flavorful with smooth flesh. But if you only thought pumpkins came in one variety until now, how do you choose the proper pumpkin for your cooking and baking adventures? Much of it depends on what you’re planning to do with your pumpkin. Two of the most popular pumpkins for pie baking are the Cinderella pumpkin and the Sugar Pie pumpkin. The Cinderella pumpkins look a lot like Cinderella’s pumpkin-turned-carriage. Rumor has it this was the very same type of pumpkin the Pilgrims used in their Thanksgiving. They bake up so well for pies. The Sugar Pie variety of pumpkin is sweet and a little drier than the Cinderella pumpkin, making it easy to keep the texture firm. For a smooth-textured pumpkin that blends seamlessly into your soups, choose the Red Kuri variety. Kabocha is another type of pumpkin that works well in soups and stews. It is firm and dry, making it a wonderful addition to any savory dish. Carnival squash are really pretty and work well for presenting your pumpkin creation within it. Stuff your Carnival squash with something fabulous and let it adorn your next holiday meal. This kind of pumpkin keeps well too, so you can pick it out weeks in advance of your plans for preparation. Now that you have decided what type of pumpkin you need, here are 5 basic pumpkin picking tips to use when you are choosing a pumpkin that you will be eating. Pick a pumpkin that weighs anywhere from 4 to 8 pounds. It is okay if the skin of the pumpkin looks dull, but avoid choosing any pumpkin with big bruises or any soft spots on it. Most pumpkins will last a while as long as you keep them in a cool room. Roasting whole, steaming, or cutting it up before cooking are all great ways to make use of your pumpkin. You can turn extra pumpkin into pumpkin puree and freeze it for later use. 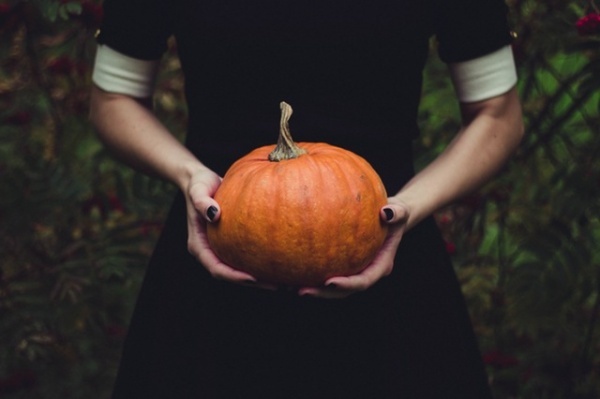 Now that you know how to pick your perfect pumpkin, what are you going to turn it into? Do you have any pumpkin recipes to share? Next Post 7 Times When Wearing Headphones Does Not Mean "Do Not Bother Me"